Discover the rich history of Las Vegas with its pristine historical architecture, right in time for the holidays. The rustic facades of buildings throughout the colorful town of Las Vegas take on a sparkle and shine during the holidays. Various events and attractions in the winter season and beyond add to the vibrant atmosphere, making Las Vegas one of the most festive destinations on the New Mexico map. Check out these holiday event highlights. Above: The Plaza Hotel. Photograph courtesy of MainStreet Las Vegas. Enjoy festively decorated spaces as local residents share their holiday decorations in their historic homes. Join in while the whole town turns out to see the floats that individuals, civic groups, and businesses covered with lights as they ignite the darkened downtown. Choose between an assortment of New Year’s Eve menus and parties offered at various restaurants and hotels in town. Then get up the next morning to participate in the Polar Bear Plunge at Storrie Lake State Park, where you can jump in the frozen lake to ensure a year of good luck. Find one-of-a-kind crafts or art for the special people on your shopping list during various holiday craft fairs and among the array of independent shops. Hit the slopes at nearby Sipapu Ski and Summer Resort or discover local history at Fort Union National Monument, Pecos National Historical Park, and area ghost towns. 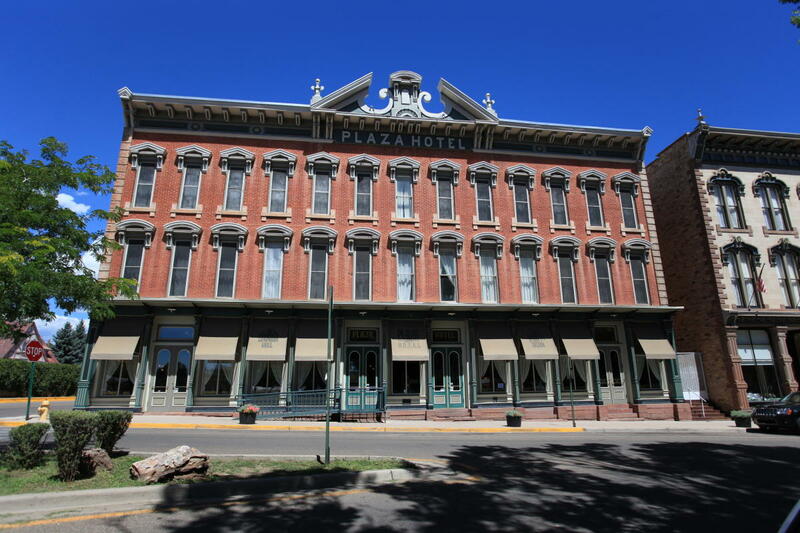 The historic town is making a comeback, spurred by Wild West can-do spirit and the renovation of its landmark hotel.